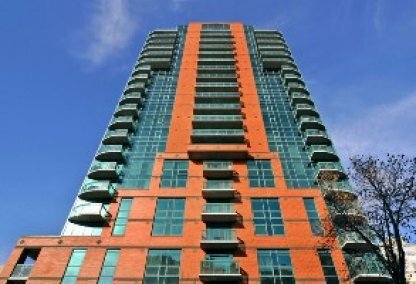 The Emerald Stone is a high-rise condominium building located at 836 15th Avenue SW, Calgary Alberta. 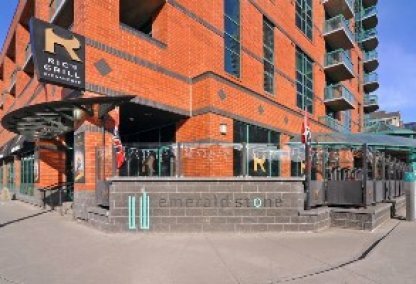 Located south of Thomkins Park, next to 8th Street SW, the Emerald Stone is a 23 storey building that accommodates 164 living units. Among the condos at Emerald Stone, there are two penthouse suites. This high-rise structure is easily recognizable from a distance because of its green-coloured windows. Aside from The Montana, this is the only high-rise condominium structure on 8th Street. Read more about Emerald Stone amenities. Get notified when new listings become available! 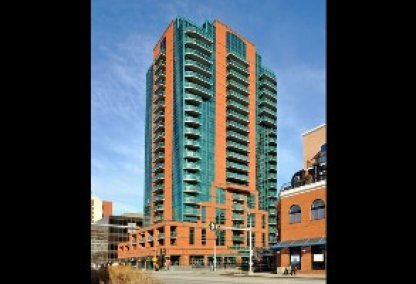 The Emerald Stone is a great condominium complex that was completed in 2004. Residential units start on the second floor, while the main floor houses commercial space and a number of amenities, including a restaurant. 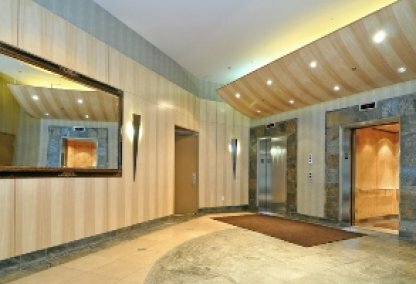 The lobby of the building is spacious and airy, and features a welcoming, elegantly-designed water feature. 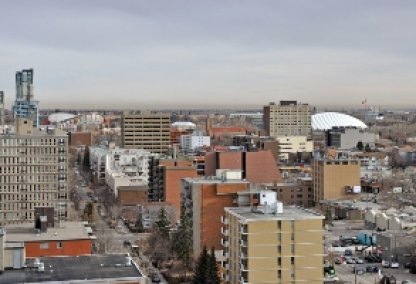 The upper living units of the building provide unobstructed views of the mountains and downtown core. This is a development that's ideal for families. 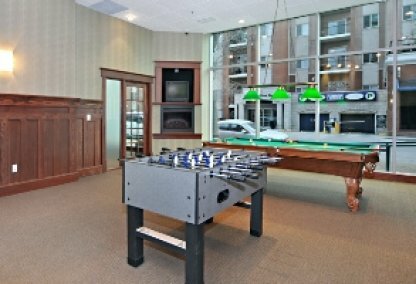 All condominiums at the Emerald Stone feature spacious living rooms with fireplaces, and balconies fitted with gas hook-ups. Spectacular views are provided by floor to ceiling windows. The on-site restaurant features a street side patio that's perfect for cooling down on a hot summer's day. This is an ideal residential building for people who work from home, with high speed Internet access provided. There are more than 160 underground parking stalls in the building, spread out over four levels. The stalls are titled, with a few allocated to business owners within the building. Storage lockers are also provided to residents. 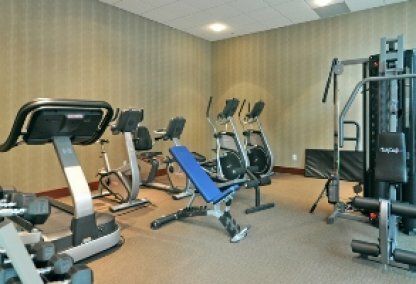 A modern, well-equipped exercise room and a games room provide condo owners with great facilities to lead an active lifestyle. 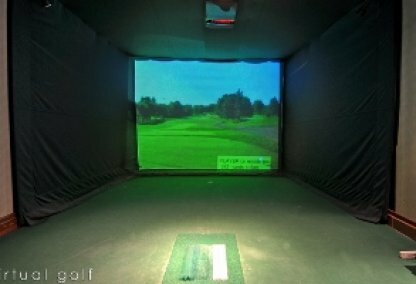 For golf lovers, a golf simulator is provided for training purposes. A guest room that can be rented out by residents at a subsidized rate is also available. 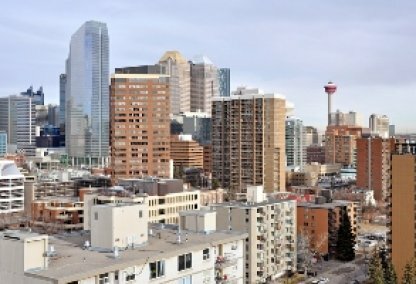 The location of the tower is great, with easy access to various destinations in Calgary. Contact us if you're interested in scheduling a showing of available condos at Emerald Stone in Southwest Calgary.